The first month of the year, Tishrei, begins with Rosh Hashanah, and through the ten day process of teshuvah, repentance, brings us to Yom Kippur. In our community, these are days of re-connection, of spirituality, of thoughtful prayer and renewal. Our Rosh Hashanah and Yom Kippur services use Mishkan HaNefesh (Sanctuary of the Soul), the Reform movement’s new High Holy Day machzor/prayerbook. Order your own copy of Mishkan HaNefesh here. 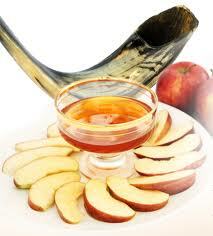 Rosh Hashanah afternoon. join us at Marina Park for family services as well as Tashlich, the tradition of casting our sins away in flowing waters. It is a wonderful start to a new year, as the entire community gathers together with bread crumbs to toss, and calls of “l’shana tova” fill the park. We are delighted to continue our celebration of the New Year with Morning services on the second day of Rosh Hashanah. There is a completely different feeling to this smaller, more intimate gathering, which features our High Holy Day choir. Our High Holy Day observances always include a Kever Avot Service, a time of remembering our ancestors and beloved family members, held at Ivy Lawn Cemetery in the Jewish burial section, Makom HaShalom. Temple members will receive further specifics in the mail. Everyone else is welcome to contact the Temple Beth Torah office at (805)647-4181 for additional information and attendance ticket details. Here’s our schedule for all the High Holy Day services and celebrations for 5779, 2018.